NEWS ANALYSIS: A fight over the future of Norway’s northernmost county of Finnmark has hit fever pitch, with the local population battling a forced merger with neighboring Troms. 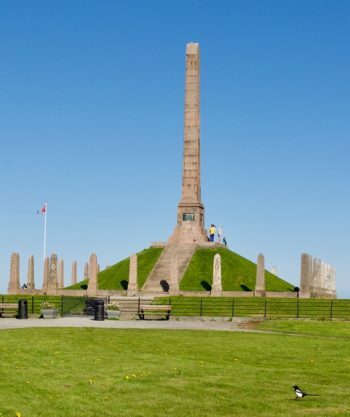 A visit to an historic monument at the other end of the country shows how such struggles have gone on since Viking times, pitting the importance of local identity and control against national powers-that-be. It remained wide open on Monday what will happen now in the heated conflict over the creation of a huge new county, at least in terms of geographic area, to be called Troms og Finnmark. After fully 87 percent of proud Finnmarkinger voted last month against the merger, despite its approval by Parliament last year, Finnmark’s county government claims it has no mandate to move forward with merger that it also approved earlier this year. On Thursday it effectively reversed its approval by refusing to name any members to a new commission charged with carrying out the merger of Finnmark and Troms that Parliament ordered to take effect from January 1, 2020. Within a half-hour “the empire struck back,” one local Labour politician told newspaper Dagens Næringsliv (DN) over the weekend, “and we all know who is Darth Vader.” Monica Mæland, the minister in the conservative state government coalition who stresses she’s responsible for carrying out the Parliament’s decision, decreed that the new commission will thus be based on population, giving Troms 19 representatives and only nine for Finnmark. Local politicians responded to that by refusing to take part in a commission so heavily weighted in favour of Troms. Debate flies over whether the commission will have any authority at all. “It’s impossible to predict what will happen now,” said one professor and expert in regional reform, Oddbjørn Bukve. He noted that Mæland and county authorities are obliged to carry out the merger, since Parliament approved it, “but what’s happening now has moved the issue back to the political arena.” Some are predicting the merger will not go through, or that any forced marriage between Troms and Finnmark will ultimately end in divorce. As the uproar that’s even been referred to as “Norway’s Catalonia” plays out, it’s worth pondering a monument known as Haraldshaugen. 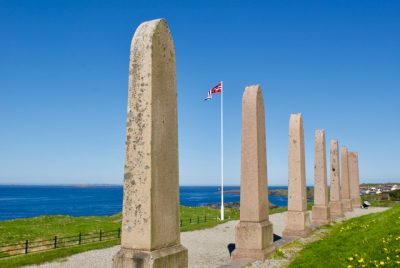 It used to be called Krosshaug, because of an ancient cross erected earlier at its windswept coastal location on the north side of Haugesund. 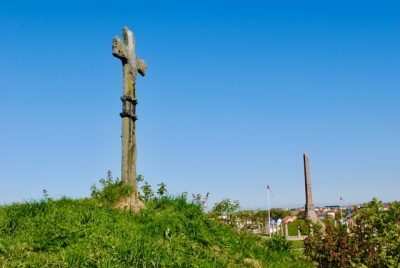 The cross is believed to date from the earliest years after Harald Hårfagre became the first king over large areas of a newly Christianized Norway. Some interpretations of the sagas written by Snorre Sturlasson think he’s buried there. Battles to unite and consolidate regions of Norway continued for centuries, ultimately landing Norway in unhappy unions with Denmark and later with Sweden. In the summer of 1872, when Norway was still under the Swedish king and nationalism was rising, Krosshaug became Haraldshaugen in a lavish ceremony that unveiled “stones” in the form of pillars representing Norway’s 29 fylki at the time, which have since transformed into today’s 18 fylker, or counties. The idea, according to information posted at the site, was to “build feelings of unity and self-identity among Norwegians” whose country had historically been united by the first King Harald. Those ancient regions at the time featured names like Hadafylki (today the region of Hadeland, which has no political power) and Egdafylki (now East- and West Agder, soon to officially be merged into Agder). There was also Eystridalir (today the valley of Østerdalen) and Hordafylki (today Hordaland, soon to merge with Sogn og Fjordane and become Vestland, not without protests from other neighbouring West Coast regions). Current plans will leave Norway with just 11 fylker by 2020, a result of reforms that have sparked controversy but also some relatively friendly merger agreements around the country. There are plenty of signs of regional rivalries at the Haraldshaugen monument as well. While the sagas tie Harald Hårfagre to Vestfold (the current county southwest of Oslo that’s due to merge with neighbouring Telemark), those writing the information posted at Haraldshaugen stress that “many researchers now claim he was a West Coast king who came from Sogn, Sunnhordaland or Karmøy.” They also stress that Harald Hårfagre wanted to unite Norway as a means of securing waterways along the West Coast. It was all about identity and local versus national power, and those forces are clear in the current battle by Finnmark’s residents to retain their identity and local control. 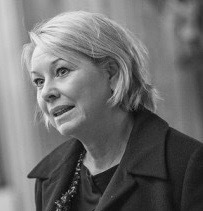 Asked why she feared merging with Troms, county mayor Ragnhild Vassvik told DN it was because “they are twice a large as us (in population) and have a large city (Tromsø) that’s a magnet for resources and capital. We’re afraid they will drain district communities in Finnmark.” There are many other objections as well, over administration, different cultures and issues in an area as large as Denmark and even the sheer expense and time it will take for a merged county’s officials to assemble for meetings. Vassvik openly admits that by refusing to name representatives to the merger commission, she and the left-center majority on Finnmark’s county council hope to delay its creation until the Center Party puts forth a proposal in Parliament to halt the entire merger process after the summer holidays. It’s unclear whether the delaying tactics will work, or even if they’re legal. In the meantime, some hoped tempers would cool during the summer holidays before the fight resumes.